Mildred Pierce and her lady pals knew whipping up a fruit-topped cake was no biggie, but most of us were born a generation or two away from women who baked cakes for afternoon coffee and weeknight desserts. 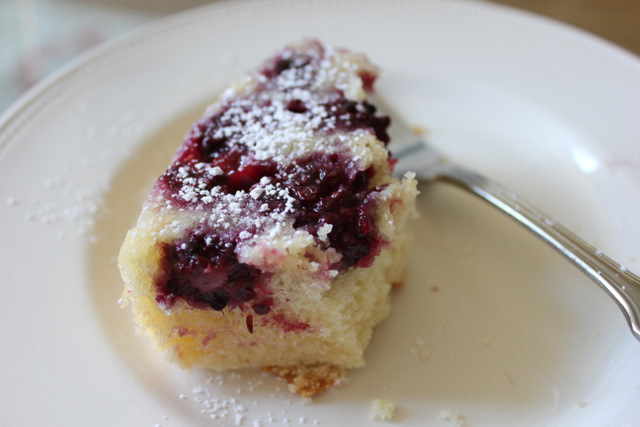 I learned only recently that there’s no magic to making a berry upside down cake. 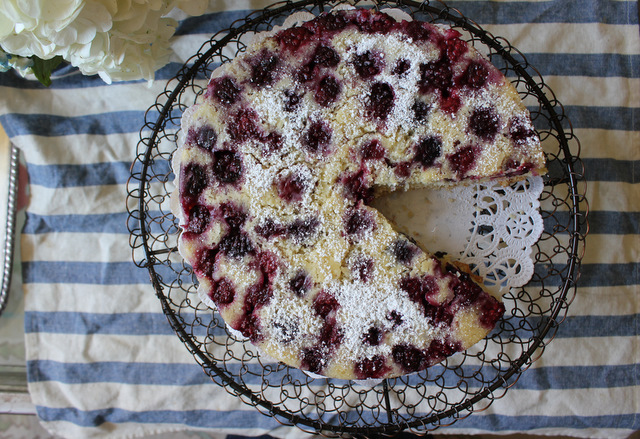 All you need are fresh berries and a cake you love. And this cake, I love. 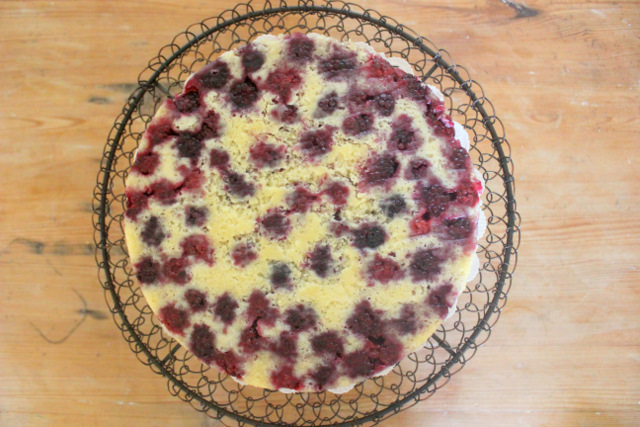 You already have the recipe for Rose Levy Berenbaum’s Buttermilk Country Cake. Words cannot express how soft and tender it is. You should play around with it-lemon or orange zest are bright additions. Or almond instead of vanilla extract. 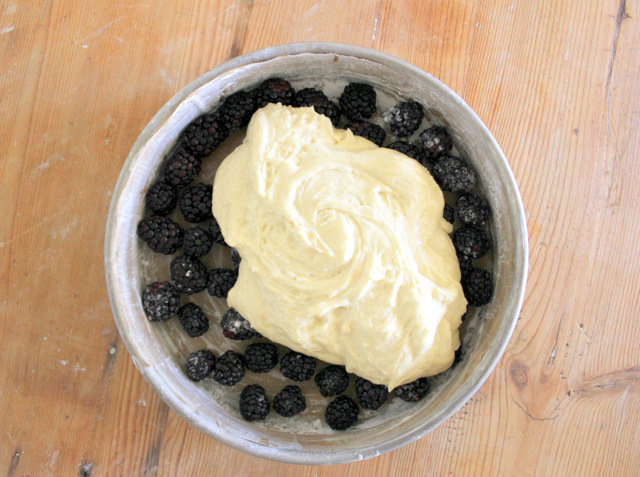 Yesterday morning, I buttered and floured my pan then filled it with a layer of fresh blackberries. Then dolloped the batter on top and smoothed it out with a spatula. 35 minutes in the oven, 10 minutes total work time.